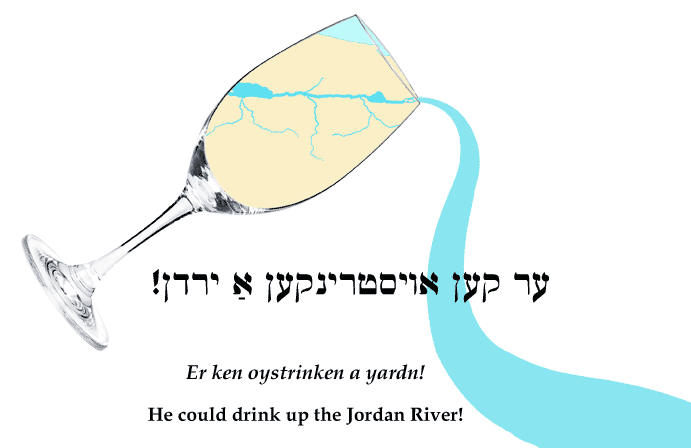 Yiddish Wit: He could drink up the Jordan River! ‏ער קען אויסטרינקען אַ ירדן! Er ken oystrinken a yardn! He could drink up the Jordan River!